I am considering getting microdermal implants, but I want to make sure I can get the jewellery I want beforehand. I am specifically looking for large spikes or jewellery which resembles horns. I have been searching online but all I can find are discs and small spikes. Does anyone have any suggestions for online sources for such jewellery? All of the top manufacturers use an industry standard threading, so for most dermal anchors all you need to find is a 14 ga threaded end in the shape and size you want. If you are looking for a rather large spike I recommend also going with a larger microdermal, Anatometal makes them as large as 8 ga. Using one of these will provide a stronger base for the weight of the larger end. I also advise getting the spike made out of titanium (if you are desiring metal) as it will be lighter. Also, you could have bone horns made or pretty much whatever you desire if you want to spend a little more for custom pieces. Your piercer should be able to do all the groundwork for getting you whatever you want, if they can’t I’d be afraid to let them pierce me. PS: I would still heal the micros with disc or other low profile ends and use the horns as a day time piece once it is healed. I was wondering if you knew more about this new kind of piercing/implant called the “skin diver”. It’s like a dermal anchor or microdermal, except that the skin diver it’s smaller and thiner, so it’s really on the surface of the skin. My piercer artist and a few more in France do this new kind of procedure. I’ve had a look on the ‘net at these things and I have to say that so far I am not overly sold on the idea. I worry about the conical bit that sits below the skin. My concern is what would happen if you got a whack on it especially if it was placed over a bony area like the sternum? That being said, I am curious as to have one in my hand (and I don’t mean implanted!!) so’s I could get a proper look and equally as curious as to popping one in myself to see exactly how they sit/feel/heal and how easily they are removed. As with everything, the proof of the pudding is in the eating. I have four Industrial Strength microdermals along/below my clavicles. The rise is higher than i expected and I suppose with all the movement in the arms/shoulders the two outer micros sat noticeably higher than the inner two. I was just extra careful with them and they all healed up very nicely. About a month ago my outer right micro got hit pretty hard and the smaller foot rejected out in 2 days. I decided to take it out myself with a 14g needle, sliding it against the micro to break connective tissue on the larger foot. I went to check my far left micro and noticed that again, the larger side of the foot healed perfectly, but the smaller foot did not heal at all, it had just been sitting there hollow, and since I never had it snagged i never noticed. The smaller foot popped right out! It was mildly horrifying but it wasn’t irritated, infected, or rejecting.I couldn’t leave it in there though so I decided to take it out as well and get them redone at a later date. My concern is that in the long run micros will keep running in to problems with the smaller foot. I liked that Industrial Strength micros have a hole on the smaller side of the foot for tissue to grow through but it’s such an ittybitty one, I noticed Anatometal has a nice wide hole for the larger foot, but the smaller foot is just a nub. What micros would you recommend? Which have healed the best of your knowledge? Are there ones i should avoid? Any help would be great since i didn’t get them redone yet i’ll wait for feedback. p.s. for anyone healing micros, i picked up on some habits of the things. Every few weeks or so one or a couple of mine would get irritated. The standard seasalt/water swab definitely helps but most of the time I had to give my micros a little help and push some of the lymphatic fluid out by gently pressing around the micro, (it’s easy for stuff to get trapped in there) then clean them again. My personally view on IS vs Anatometal for the Surface Anchors/Microdermals is this, I like BOTH styles actually. The one thing I liked about Anatometal and their subsequent creation of the product, is that they actually waited and sat in the background watching/hearing all the issues people were having/noticing with the current versions,etc. They then implemented their product based on what they heard/saw and based on that made alterations based on that. Personally I have not used the Anatometal ones just yet, they only came out a few months ago. I’ve only ever really used the Industrial Strength ones, which I find work great for me…And I bet if I was to use the Anatometal ones, I’d be just as happy with them, cuz lord knows I got a HUGE hankering for Anatometal, I love them so. Might I ask though, just how old exactly were/are your microdermals? Based on what I’m reading I’d be inclined to assume that you’ve only had them for a couple months? No more than 6 months correct? The one thing I’d like to point out with Microdermals is that they realistically take a lot longer to heal, then the projected time frame everyone “THINKS” they take to heal. Just because something isn’t red, irritated, swollen, producing a discharge,etc..Doesn’t mean that it is completely healed perfectly and awesome. Personally I say with Microdermals I advise clients to expect a 6 months to 1 year heal time, with periods of on and off irritation. But as I said, I’m perfectly fine with suggesting IS or Anatometal for microdermals. There is also of course: Custom Steel Body Jewelry, who is arguably the individual who created the first prototypes of the microdermal/surface anchor design, depending who you talk to. Either way with any of these companies product, you’re safe and secure in the jewelry quality/design. From there it’s just making sure the piercer is experienced enough in knowing how to work with the jewelry. Not to mention its up to the client and piercer to do the research and get up to date knowledge on how to care for them. Because things have changed a bit since the old article that came out two years and a bit ago, as many other piercers started doing them and noting the pros and cons,etc. i am ninteen years old, and i am already planning my future body mods. i have my heart set on getting a set of horn implants for my twenty-first birthday, but i have no clue how to go about finding someone to preform this. as with all my body mods, i like to research them to the fullest extent, and i want to make sure that the person in charge of the procedure has the proper amounts of experience and knowhow. there are rumors of shops that will preform such procedures around where i live, but i don’t fully trust them. although i live in Pennsylvania, i am willing to travel as far as necessary to get my horns done properly. any suggestions? I really admire your patience and desire to get the best, safest mod you can. We need more like you! Anyhoo; while I consider it bad form to directly recommend someone on such a public forum, I’d advise you to surf around BME. When you see a nice set’a horns… check out who did them! 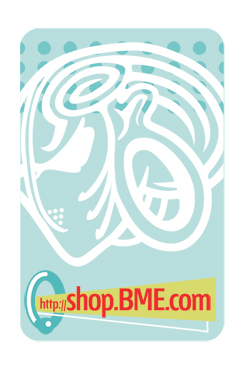 Consider getting a membership to BME’s community site, IAM.BMEZINE.COM. There are a handful of artists who maintain pages there that could help you with your research. Finally, you can contact me privately and I could throw some advice your way. Some girls may mistake them for genital warts and that’s no good. Most girls will enjoy them physically if they are open minded enough to try but some girls that are into them conceptually may find that they are incompatible with there anatomy. My advice, go for it, they are easy enough to remove if you decide they aren’t working for you. Plus you get to play my favorite game from my single days the “guess what was just inside of you” game. Heya, this one’s for Lori or Warren! Im currently located in Adelaide and was wondering if you know any reputable piercers who you feel would be able to perform dermal anchors. Also where you suggest going to get tattooed, thanks heaps! I’m spearheading a movement to get all our Aussie readers to call Warren “Wozza” from now on. C’mon, you know you want to. I’m just trying to help him feel more at home here Down Under, you understand. And for all of our other readers all over the world, don’t worry about it, it’s an Aussie thing. I honestly don’t know who I’d recommend in Adelaide for microdermal/dermal anchors, and I don’t see anyone in South Australia on the Industrial Strength microdermal website. This does not, of course, mean there’s nobody doing them there, just that you need to do some research and call around to the better piercing studios and talk to them about it. Ask them if they do them, how many they’ve done, how the procedure is performed/what techniques are they using, how they learned to perform the procedure, how many they’ve removed and at what point in the healing process, what their success rate is, and for pictures of fresh and healed work. As for tattoos, shop around - everyone has their favourite artists and I’ve seen good work come out of Adelaide. I’ve also seen some shockers, ha ha, so caveat emptor and all of that! Here’s where the new comments section will come in handy - South Australian readers, please do feel free to pitch in with your favourite artists and links to shops, to give us some help! Need some help, urgently…and asking you guys will get me a more informed response than calling my piercer. My six month old microdermal, in the hollow of my throat, has rejected. The jewelry was IS, and the part that was implanted on top (towards my chin) was the short “heel”. This part, over the course of about a week, pushed itself right out with no redness, swelling, or pain, and there was no trauma to the piercing that I’m aware of. As I have no access (5 hour one way drive) to a reputable piercer, I’ve removed the rest of it myself by sliding a 14g needle against the lower half of the implant, to slice through the well healed tissue which had grown through the holes in the metal (I figured if I tried myself to re-implant the top, I’d end up with no implant + big scar). MY QUESTION: I now have the worlds finest fistula. This piercing had healed very well, and there is a nice pocket where it sat. Will the minor trauma of cutting it out make this pocket seal up? I’m not worried about a little external scar, I’m worried about a permanent hole beneath the skin. Any advice? I’m sure the fistula will sort itself out (if it hasn’t already) in terms of healing closed, and if you want to try to reduce the appearance and texture of the scar tissue, I suggest you use a scar-reduction product such as Mederma or Bio-Oil several times a day until it looks better. You should begin to see results within a few weeks, depending on how long the microdermal was in place and how much scar tissue your body created. I’ve removed a fair few microdermals now, and I’ve yet to have to cut any out of anybody - the ones I’ve removed have all been badly abused and on the path to rejection - but they way you did it certainly sounds like the way most people are removing well-healed ones that don’t want to come out easily. Regarding the foot design of the jewellery, if both feet were the same longer length, they wouldn’t be readily inserted into a single pocket anymore - think about it! I can’t speak for how any other piercers do them, but I put the longer foot facing up, not down, just to give it something to hang on to against gravity.